© 2014 Anne Novak, all rights reserved. The Bureau of Land Management plots to wipe out wild horses and burros at taxpayer expense. Is this how you want your tax dollars used? Notice that Pesticide PZP, made from slaughterhouse pig ovaries, is part of their wipe out plan. It sterilizes after multiple use. Their goal is zero population increase which would ruin natural selection and make it impossible for the species to survive climate change. Members of the public and some organizations have been fooled into supporting Pesticide PZP as the “lesser of two evils”. Those who believe in the true spirit of the Wild and Free-Roaming Horses and Burros Act of 1971 are attacked for speaking out against Pesticide PZP. Follow the money if you want to understand who profits from forcibly drugging wild mares with Pesticide PZP for population control. . . The Humane Society of the United States (HSUS) is the registrant of Pesticide PZP https://www3.epa.gov/pesticides/chem_search/reg_actions/pending/fs_PC-176603_01-Jan-12.pdf. HSUS called native wild horses and burros “PESTS” on the EPA Pesticide Application. Have they changed the legal definition of wild horses and burros with the EPA application that should be revoked? Scott Beckstead, who was born and raised on a working cattle ranch and now works for HSUS, reported at the BoLM’s Spring 2016 Wild Horse and Burro Advisory Board meeting that HSUS is experimenting on a stronger form of Pesticide PZP. Does “stronger” mean their new form of Pesticide PZP will forcibly sterilize native wild horses and burros with one injection? Wild horses and burros are underpopulated on public land which is overpopulated by beef cattle and sheep. Ranchers, BoLM and others try to scapegoat wild horses and burros for range damage when the truth is commercial livestock is destroying, or already has destroyed, the ecosystem. Read about the GonaCon® experiment at Water Canyon that launched in 2015: http://protectmustangs.org/?p=8488 They have hopes to use GonaCon™ on the whole Antelope Complex. Special thanks to Dr. Patricia Haight, RIP, with the Conquistador Equine Rescue for acquiring the documents through FOIA. Carson City, Nev. – The Bureau of Land Management (BoLM), Carson City District, Stillwater Field Office, has completed an Environmental Assessment (EA) for the Cow Canyon, Clan Alpine, and Dixie Valley Allotments Landscape Project. The BoLM is also seeking public input under Section 106 of the National Historic Preservation Act for the Project. This includes seeking information and identifying historic properties in our near the Project area. Public comments will be accepted through September 26, 2016. The EA analyzes seven alternatives that include proposals for livestock grazing permit renewals, range improvements, wild horse management, community mineral material pit designation, invasive, nonnative and noxious weed treatments, interim visual resource management class establishment and adaptive management. The alternatives include changes in season of use proposals, reductions in livestock numbers proposals, no grazing and the no action alternative (status quo). The EA and associated documents are available on the Project webpage at: http://bit.ly/2blRZFp during the 30-day comment period. Please send written comments to Linda Appel, Project Lead at the address in the letterhead, via fax at (775) 885-6147 or via email to: blm_nv_ccdgrazingea@blm.gov. Comments should include “CCD Landscape Project EA” in the subject line. If you have any questions, please contact Linda Appel or Angelica Rose at 775-885-6000 or at the above address. For input or questions regarding historic properties please contact Jason Wright at 775-885-6015 or the address in the letterhead above. We are sharing this anonymous tip in hopes legal action or rescue will follow to save the thousands of horses who are still alive. 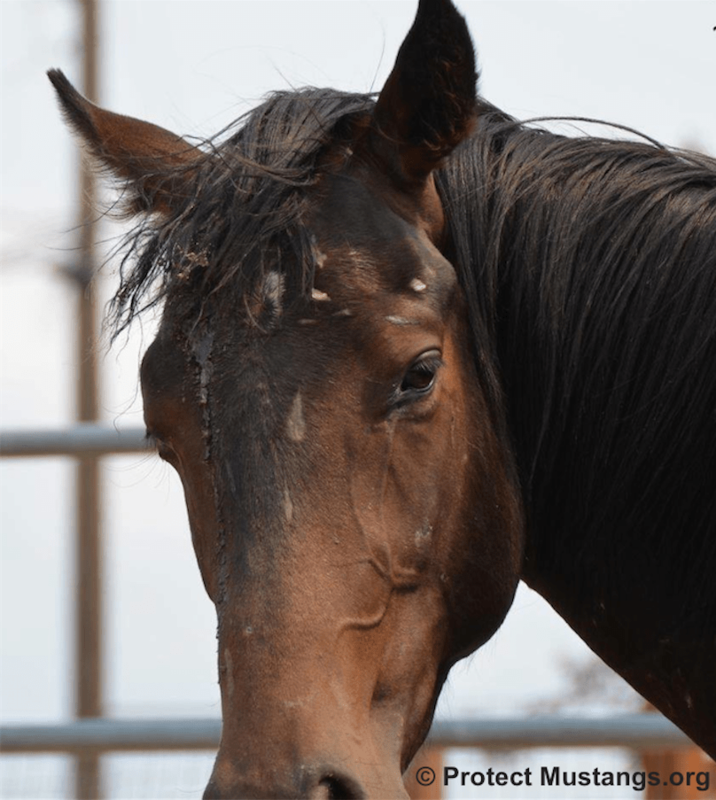 #TakeAction to demand horse slaughter stop now! http://www.contactingthecongress.org/search.html ) to request they intervene on your behalf to stop the slaughter. Join the movement to Protect Mustangs by liking the Facebook page: www.Facebook.com/ProtectMustangs Check the page daily and invite your friends to join the movement to protect mustangs! We are working for the wild horses on Twitter too so Join up at www.Twitter.com/ProtectMustangs You can also join our Founder and Executive Director, Anne Novak, on Twitter at www.Twitter.com/theAnneNovak There is a lot we can do together to Protect Mustangs! Please share this video so people will learn what is going on. Then they can demand change and legal action to stop the slaughter of thousands of wild horses! Go to www.ProtectMustangs.org for more information on wild horses. 1. Wild horses and burros are no less “wild” animals than are the grizzly bears that roam our national parks and forests (Mountain States v. Hodel) neither the states of the federal government have the right to harm Our Heritage Wildlife as found by the 1995 Supreme court Ruling Babbit v.Sweet Home. 3. By a 6-3 vote, the Court upheld the statutory authority of the Secretary of the Interior to include “habitat modification and degradation” as conduct which constitutes “harm” under the ESA. 5. As a result, based upon “the text, structure, and legislative history of the ESA the Supreme Court concluded that “the Secretary reasonably construed the intent of Congress when he defined ‘harm’ to include ‘significant habitat modification or degradation that actually kills or injures wildlife species. 6. Pursuant to BLM’s 2001 Special Status Species Policy requirement that “sensitive” species be afforded, at a minimum, the same protections as candidate species for listing under the ESA. It called on BLM managers to “obtain and use the best available information deemed necessary to evaluate the status of special status species in areas affected by land use plans . . . .
We are sharing our email with BLM officials in the Washington D.C. office to educate and create awareness of how the 3-Strikes system works. We believe in transparency. After 3-Strikes even a yearling can be sold to anyone signing the dotted line who agrees they will not sell any horses to slaughter, etc. Of course we all know kill buyers aren’t the most honest people on the planet . . .
(A) the excess animals is more than 10 years old; or(B) the excess animal has been offered unsuccessfully for adoption at least 3 times.The BLM then developed a policy that currently defines an adoption attempt to meet the following criteria:(A) Adoption Event: Either a Satellite or an INTERNET adoption.i. Satellite Adoption: Organized event that is advertised and held at a location other than a Bureau of Land Management (BLM) or contract holding, preparation or training facility. ii. Internet Adoption: Animals offered for adoption through the National Internet adoption site administered by the Eastern States Office (ESO). Currently, if an animal is in a short-term holding corral, like PVC, it is not earning any strikes unless it is offered at a specific adoption. I believe Tom has answered the remainder of your questions. Thank you. Adoption events count as a “pass over.” I will let Sally or Debbie answer the “pass over” question re: Palomino Valley Center and Internet adoptions. The number of horses adopted in Fiscal Year 2012 (2,598), which ended Oct. 1, 2012, can also be found at the Quick Facts site. The number of horses and burros sold in FY 2012 was 391. Kindly explain in detail how the 3-Strike system works at BLM with regards to wild horses of all ages and those 11 and over. Do facility adoption venues such as Palomino Vally Center count? Do Internet adoptions count? Do adoption events also count? How many wild horses are currently at LTH? How many wild horses have been adopted this year? 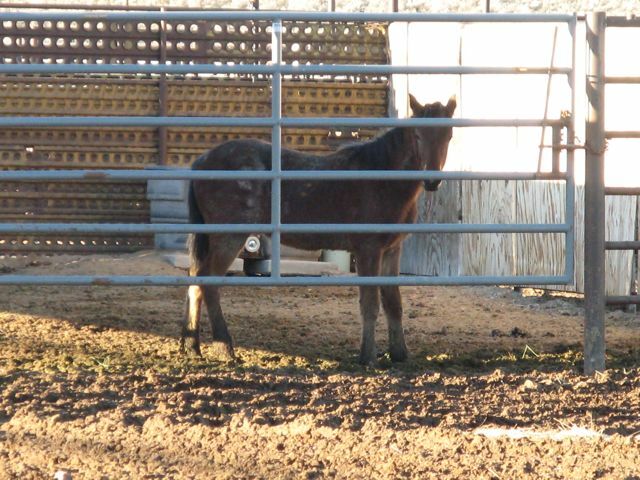 How many wild horses have been sold this year? Where can people buy 3-Strikes yearlings and two year olds?